Hy Brasil II is a project about islands and transience, exploring the shifting boundaries of sand, people and wandering rocks that form the islands of our experiences. 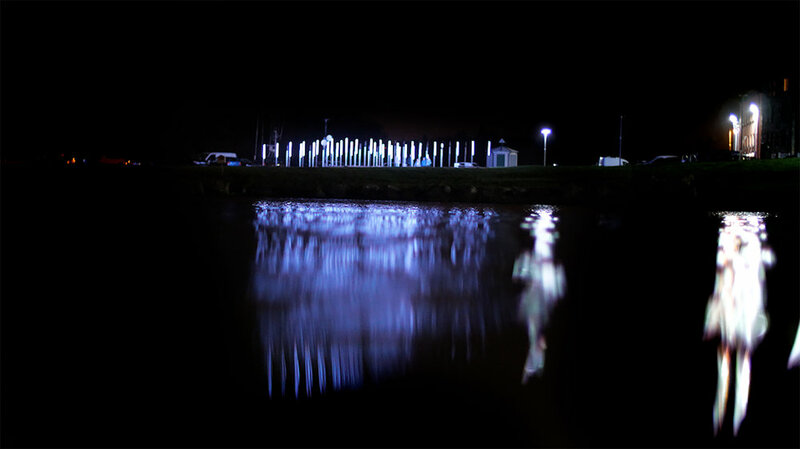 This version of the Installation was built in November at the Quays in Westport as part of Westival. 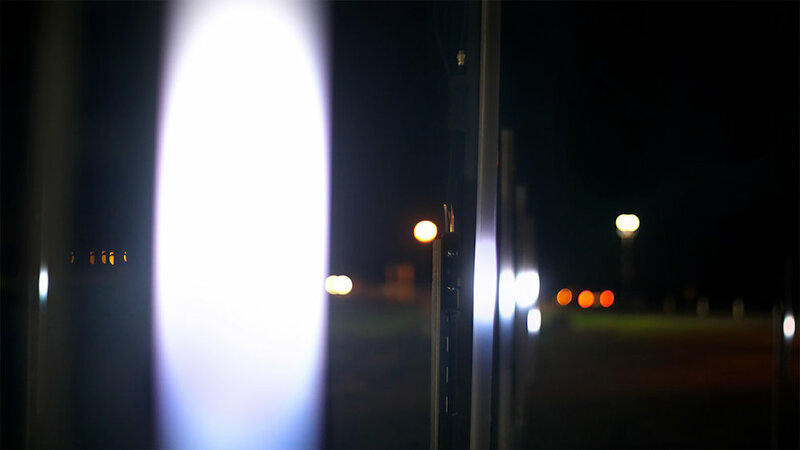 It consists of 49 LED light fixtures connected to a 7x7 steel grid. people and wandering rocks that form the islands of our experiences. Production | The grid is fabricated from unistrut metal for flexibility and ease of assembly which allows for seamless shipping to international light-festivals. The sand below has the dual function of burying the support grid and cable while also allowing the shadow patterns to evolve over time as participants interact with the structure. 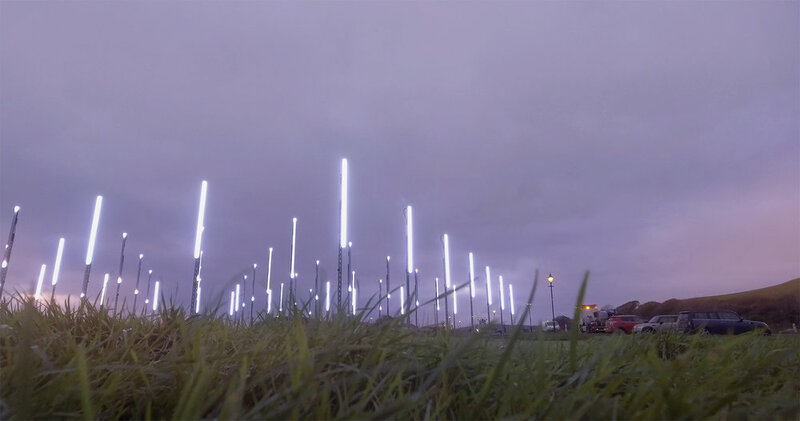 The 7x7 three dimensional layout of the array allows the light to mimic the emergence of an island in three dimensional space and mimic the movement of the Ocean. It also invites the viewer to walk amongst the sculpture and view it from within. The very limited use of colour directs the viewers attention towards the movement and the positioning of the piece beside a body of water mimics the appearance of an island from the sea.